Download eBooks and eAudiobooks via the website or straight from the Overdrive or Libby apps. Download eBooks and eAudiobooks via the website or straight from the Libby for kids app. Borrow Limit: 30 items for 3-week loan. Place up to 30 holds. Unlimited renewals (as long as there are no holds). You must be a full member of the library to access Overdrive: Become a Library Member here. Ancestry offers the largest collection of genealogy/family history records on the internet. U.K. and U.S. census records, military records, passenger lists and more! Free search for Eastern Regional Libraries members. Access indexes and other resources in over 30,000 databases that span from the 1500s to the 2000s. Getting ready to become a new driver in Victoria? Help is available. Aussie Driver has the resources you need to help you get ready, pass your learners test, and become a driver: free learners practice tests & this year’s official Victoria Driver’s manual. Learn a new skill from home or in your library! Be Connected is an Australian Government initiative including free courses on everything from how to access the internet, to using your device and staying safe. Be Connected is an Australian Government initiative designed to help the community thrive in a digital world. Various online learning resources are available so you can develop your digital skills and confidence. The service is completely free to use and works entirely within your web browser. 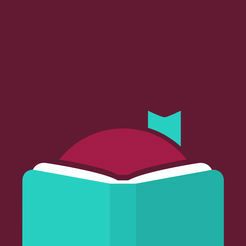 Are you game to take on Eastern Regional Libraries’ Reading Challenge in 2019? Reader’s Prize Pack. Challenge runs from 1 Feb – 31 Oct, 2019 and is open to ages 15-120. BizLibrary is filled with expert content provided by Knox City Council, Maroondah City Council, Yarra Ranges Council and third parties, it’s packed with resources to help small businesses succeed. Connects local businesses with premium learning resources. Download eBooks and eAudiobooks via the website or straight from the BorrowBox app. Offers Australian and international best-selling authors. Find the best resources to study and learn exactly what you need to know. This encyclopedia is packed with knowledge. Pop-up Merriam-Webster’s Dictionary and Thesaurus. BusyCode is a set of resources designed to introduce simple programming concepts for 5-11 year olds. BusyCode is created by the same people who brought you Busythings! BusyCode resources are divided into three types; challenges, tutorials, and projects, that help you get started in coding. Busythings is an online learning resource that will help your preschooler’s creative development, problem solving, numeracy, communication and literacy. It’s fun, quirky, colourful and noisy! Busythings is now available on your tablet computer; iPad access is via Safari. For Android tablets use the latest version of Google Chrome. Busythings is an online learning resource that will help your preschooler’s creative development, problem solving, numeracy, communication and literacy. It’s fun, quirky, colourful and noisy! Check out Choice for unbiased product reviews, comparisons and consumer action. Ask library staff for login information. The collection of loanable items developed by the Brotherhood of St. Laurence designed to provide cost effective, exchangeable resources to enhance the lives of people living with dementia. The DRL collection provides access to resources to enable enjoyable activities, hobbies and meaningful pastimes for people who are living with a dementia. Resources are informative, culturally appropriate as well as stimulating, relaxing, comforting and entertaining. Members can have access to games, movies, books, photographs and musical items, as well as publications about dementia. The collection was developed by the Brotherhood of St. Laurence to provide exchangeable resources to enhance the lives of people living with a dementia. Eastern Regional Libraries are delighted bring this resource to you. Echo – contemporary media issues with background and arguments, partnered by a searchable news database, both with links to original text and multimedia sources. Browse the wide range of events available from your libraries, book in and make sure you don’t miss any events! Browse over 40,000 bestselling author bibliographies with all the latest books, covers and descriptions. Search Australian, Irish, New Zealand and UK family history/genealogy records. Free search for Eastern Regional Libraries members on library computers. Explore, track and review millions of books when you join this free global network of readers. Use the world’s most popular search engine to find content from all over the internet. Find text, photos, videos and so much more. Get new skills for a digital world! Google Digital Garage is a great resource for Job Seekers, Small business owners or those looking to expand their digital knowledge. Access to authoritative medical information. Give kids of all ages the chance to try coding with this huge collection of free programming games brought to you by code.org. Hour of Code is available in over 45 languages, works on most modern devices and varies in difficulty for students of all abilities. Best of all, it’s completely free! Give kids of all ages the chance to try coding with this huge collection of free programming games brought to you by code.org. It’s available in over 45 languages, works on most modern devices and varies in difficulty for students of all abilities. Best of all, it’s completely free! Watch over 30,000 Documentaries, Classic and Indie Films. On Desktop and Mobile devices for Library Members. Stream over 15,000 Documentaries, Classic and Indie Films. On Desktop and Mobile devices for Library Members. Stream up to 12 videos each month completely free. Kanopy Kids highlights films and TV series that inspire and inform, helping children develop empathy, mindfulness, and self-esteem through entertaining and educational videos. Stream now! Kanopy Kids highlights films and TV series that inspire and inform, helping children develop empathy, mindfulness, and self-esteem through entertaining and educational videos. Download eBooks and eAudiobooks via the website or straight from the Libby by Overdrive app. Download children’s eBooks and eAudiobooks via the website or straight from the Libby by Overdrive app. Browse, reserve and renew books, DVDs, CDs, magazines, games and more from the your library’s vast collection of titles. Log in with your library card to check due dates and renew items. Browse, reserve and renew books, DVDs, CDs, magazines, games and more from the your library’s vast collection of titles. Search a comprehensive list of Victorian public library catalogues. Please note: ERL members are limited to placing 5 reservations at a time through LibraryLink Victoria. Search a comprehensive list of Victorian public library catalogues. Access all Victorian public libraries, all Victorian Universities and all Australian State Libraries catalogues. Literacy Planet is an online learning resource offering an interactive and fun learning program to assist in childhood literacy development. Click Free for library users button and sign up for access using your library card. Lynda.com is a leading online learning company that helps anyone learn business, software, technology and creative skills to achieve personal and professional goals. There are over 3000 courses to choose from with over 150,000 award winning video tutorials taught by industry experts – you can access them all for free with your library card. Watch premium video training courses presented by industry professionals on your computer or mobile device. This resource normally costs up to $50 per user per month but is completely free when accessed via the link below. Have your library card handy! Packed with games and activities for use with your Ozobots. Drag and drop coding comes to life with Ozoblockly’s engaging and interactive programming tools. Designed to be partnered with an Ozobot robot, as kids solve fun logic puzzles they can wireless program the solutions to their devices. Right before their eyes their Ozobot will perform the instructions and dance when kids find the correct solution! The RBdigital app delivers your favourite titles right to your smartphone, tablet or PC including digital magazines and audiobooks. Download now to listen, read, learn, and enjoy! RBdigital is home to Australian and international best-selling authors. Our newest digital library; features authors and publishers unavailable on our other services. You must be a full member of the library to access RBdigital: Become a Library Member here. Explore the State Library of Victoria’s free online journals, articles, indexes, eBooks and more. Our Victorian Library members enjoy free online access to our extensive range of subscription ejournals, databases, ebooks and other eresources. It’s free to become a member of the State Library, click here to join. Watch your favourite Australian children’s stories read by some of Australia’s best storytellers. Stories have been read by Justine Clarke, Nick Cave, Missy Higgins, Peter Hitchener, Andy Griffiths, Sally Rippin and many more. Browse or keyword search The Age newspaper online. Access over 542,278,359 Australian and online resources including books, images, historic newspapers, maps, music, archives and more. Download eAudiobooks from our digital collection on uLibrary that are unavailable anywhere else! Ulverscroft uLibrary offers a terrific selection of of eAudiobooks unavailable anywhere else. You must be a full member of the library to access the uLibrary : Become a Library Member here. Reference books and Encylopedias on Arts, Business, Environment, History, Law, Literature, Medicine, Multicultural Studies, Nation and World, Religion, Science, and Social Science. Reference books and Encyclopedias on Arts, Business, Environment, History, Law, Literature, Medicine, Multicultural Studies, Nation and World, Religion, Science, and Social Science.